'Next to the Bible, In Memoriam is my comfort.' Queen Victoria's reliance, after the death of Prince Albert, on this poem by Alfred Tennyson (1809-92), Poet Laureate from 1850, epitomises its place at the heart of Victorian public and private life. 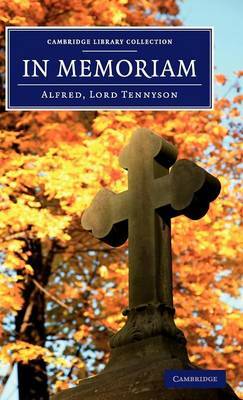 The most famous poem of its age and an instant bestseller, In Memoriam was an elegy for Arthur Henry Hallam, Tennyson's closest friend, who had died young in Vienna in 1833. Its distinctive iambic tetrameter stanzas - begun days after the news reached Tennyson, and reworked for the next seventeen years - explore the nature of grief, religious consolation, and profound anxieties about man's relationship with nature, articulating the quintessential Victorian emotions of mourning and troubled faith. This reissue is of the third edition, published in 1850, the same year as the first.